I was correcting fact assessments tonight and found this little message below. It brought a smile to my face. Oh how I enjoy being a teacher. 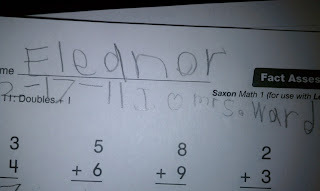 :) I have such sweet students. haha! i love that! 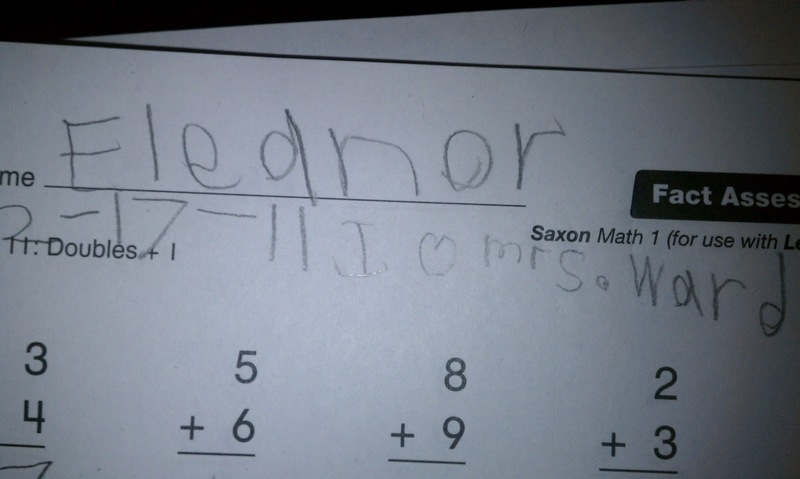 and they cute handwriting... there is nothin' like first grade writing!